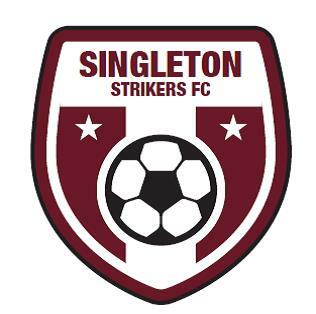 The Singleton Strikers hosted Wallsend last weekend. Singleton Strikers Under 15’s left their A grade game at home when they played Wallsend FC at their home ground of the Gardens. The first half went from end to end with neither side creating any real opportunities; the Singleton defence led by Isaak Small consistently caught the Wallsend attack offside and were more than a match for their forward line. Unfortunately the Singleton attack failed to create any chances themselves mainly due to the lack of aggression, waiting for the ball instead of being first to the ball and continuing to do the same thing and expecting a different result. The second half was different to the first half with both sides creating half chances but neither side took these opportunities, as the second half progress Singleton started to get on top and a great shot from Cameron Neal required a great save by the Wallsend keeper to prevent a goal. Singleton continued to have the better of possession and created at least two chances that should have been taken but again failed to find the net with the game ending in a nil all draw. The Betts Bower Haulage Singleton Strikers U17’s game was very even. The 1-2 score line at half time could easily have been 2-2 as Singleton hit the woodwork twice. But two early goals in the second period saw Wallsend take a commanding 1-4 lead, and the young Strikers could not recover, with the 1-4 score line not really being reflective of the game. The Viatek U19 game started slowly but sprang to life at the 20 minute mark when Singleton’s Callan Stubbs scored the opener after an impressive attacking foray by Corey Henderson. And when Wallsend were reduced to 10 men 5 minutes later it was always going to be a backs to wall struggle for the visitors. With Singleton in the ascendency, Nathan Smart scrapped the outside of the post with a fierce drive, and James Croucher blasted his effort over the crossbar. As the second half wore on the pressure finally told with Callan Stubbs netting Singleton’s second goal. Wallsend were then invited back into the contest when Singleton conceded a soft penalty kick, but a superb diving save by Brad Fairclough maintained Singleton’s 2 goal buffer until the final whistle. The U23 fixture started with both teams sparring without being able to land a telling blow. Tom Golding did steer a headed chance towards goal but it was easily saved by the Wallsend goal keeper. First blood was to the visitors when a nasty deflection left Singleton’s Ryan Guihot no chance in goal. Singleton had the chance to equalise just minutes later when awarded a penalty kick, skipper James Bates saw his goal bound effort well saved. A red card just before half time saw Wallsend reduced to 10 men, and the resulting free kick almost produced an equaliser but Singleton saw their effort scrambled away to safety. This set it up for a block busting second half, but instead it was a dour affair. Singleton struggled to break down a stubborn Wallsend who were content to park themselves behind the ball. Sadly, with Singleton pushing forward looking for a break through, Wallsend snuck two late goals against the run of play to secure a 0-3 win. The Onekey Resources First Grade had the better of the opening exchanges. Bowen Bagnall slid in at the back post but just failed to reach a dangerous cross, and Ryan Hartwell just failed to get his head onto a Brad Millar cross. Against the run of play, Wallsend scored the opening goal after 15 minutes with a miraculous shot that left goal keeper Stuart Plant clutching at straws. Singleton struck back after 35 minutes when Tristan Muir equalised for the Strikers. Muir then went from hero to zero when he received a red card to retaliating to a malicious Wallsend tackle just minutes later. Wallsend regained the lead right on half time when Singleton failed to deal with a corner kick and they scrambled the ball over the line. A dour second half ensued until Singleton sprung to life in the 60th minute when the Strikers broke out from defence at speed and the in-form Joe Civello rounded the keeper to score Singleton’s second. Bowen Bagnall then had the crowd in raptures just minutes later when his floated shot from an acute angle nestled into the back of the net. A controversial indirect free kick was then awarded to Wallsend. Singleton saved the attempt on goal but in the ensuing melee, Brad Millar was a adjudged to have infringed and was shown his marching orders reducing Singleton to just 9 men. But Singleton continued to attack and were rewarded for their efforts when a penalty kick was awarded and duly converted by Gael Basana to give Singleton a 2 goal buffer. Wallsend flung everything into attack, but a resilient Strikers defence of Hartwell, Cleaver and Dawes gamely hung on for a gutsy 4-2 victory. The Strikers are at home again next Saturday in the local derby against Cessnock. The first game kicks off at 9.15am, with the main game at 2.30pm.